This is both graphic and pretty scary. 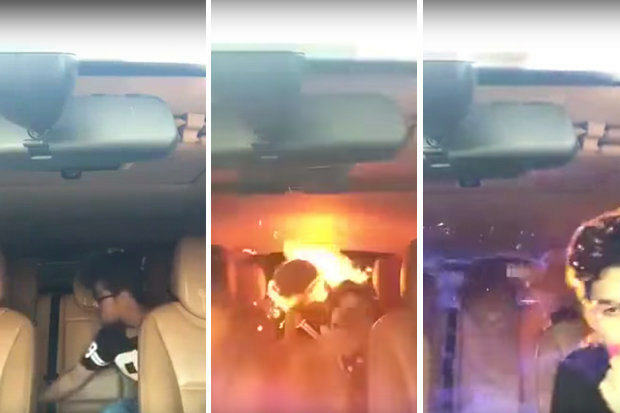 The following video, which is currently going viral online for obvious reasons, shows two men panic as they catch on fire inside of a car. 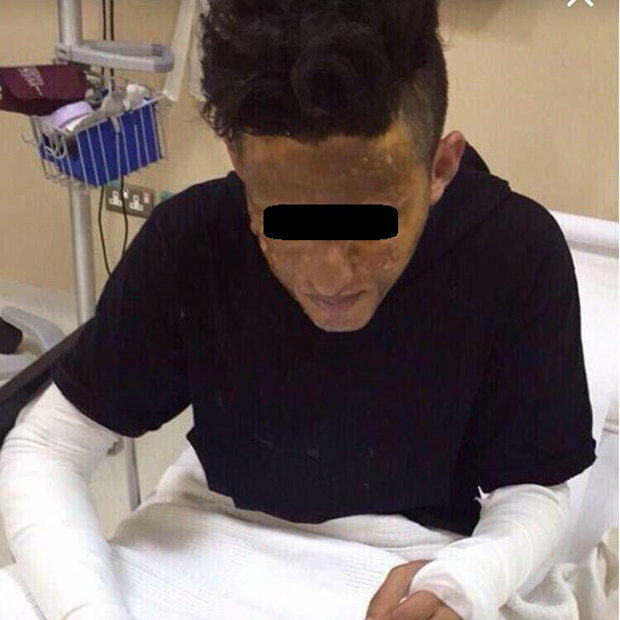 It’s thought that the cause of the incident was laughing gas, and after the guy in the back sparks up a lighter, there’s an explosion inside the vehicle. The camera falls over, and the guys can then be heard screaming for a while afterwards. Me and my brother are both fine thank god, I got 6% burns, what happened was that we were having fun in the car filming a video with the windows closed and we smelled something funny but we didn’t know it was Fidfad (a clothes spray) and we didn’t give it much attention, then my brother used the lighter which set the gas on fire, and I’m glad to say we are safe and all the rumours that got out are not true, and be careful of gas leaks anywhere. However, people on Reddit seem to think they have it sussed, and don’t quite believe what the brothers have said. They puffed butane gas which is highly flammable, they probably left a can pumping out this butane gas and forget about it or the kid in the front drenched his red rag in butane to sniff it and therefore filled the car with the gas. After a few minutes of laughing this idiot decides to record it and his friend in the back goes for a hit of butane from his lighter by lighting it and then blow out the flame to inhale the gas. However it happened, it didn’t look like fun, and it goes without saying that we don’t advise using laughing gas. And ESPECIALLY in a car, when you’re playing with a lighter.